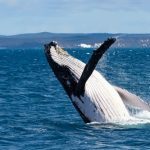 Mantra Hervey Bay and BreakFree Great Sandy Straits have surfaced with a range of great value accommodation deals for visitors migrating to Hervey Bay for this year’s whale watching season. Renowned as the whale watching capital of Australia, the Queensland coastal haven is preparing to welcome thousands of humpbacks over winter when they take time out from their annual migration in the calm waters of Hervey Bay. 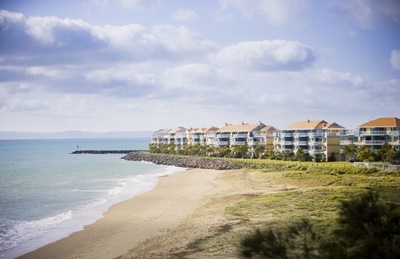 Two of Hervey Bay’s best located resorts, Mantra Hervey Bay and BreakFree Great Sandy Straits, are offering a range of deals for holidaymakers looking for a whale of a time. This year, all deals include a 20% discount off Hervey Bay Whale Watch Quick Cat Two Tours when booked through hotel reception. 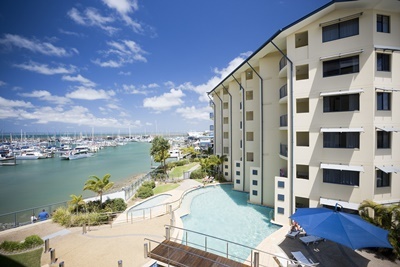 Stay at Mantra Hervey Bay, the only absolute marina front property near cruise departure points, over the whale watching season from $115* per night in a Hotel Room (Sunday to Thursday. Minimum two night stay– total cost $230*) including the tour discount, a bottle of wine and a whale watching gift pack on arrival. Mantra Hervey Bay also features a heated outdoor pool, sauna and day spa. To book, visitwww.mantra.com.au/whale-watching or call 13 15 17. Or choose BreakFree Great Sandy Straits for absolute beachfront access and uninterrupted views of the bay and marina from sunrise to sunset. Stay from $129* per night in a One Bedroom Apartment (Sunday to Thursday. Minimum two night stay– total cost $258*) including the tour discount and a whale watching gift pack on arrival. BreakFree Great Sandy Straits also offer pools, tennis courts, a kids’ playground and games room. To book, visit www.breakfree.com.au/whale-watching or call 132 007.